Some attention is paid to the sacrifices made by the Japanese industrial classes, such as the Yasuda, Iwasaki, and Mitsui families. These are the observations of an American woman in fascist Japan; the writer was Joy Homer. In this article she tells of her travels to Tokyo in 1940 where she was asked to secretly address those small groups that silently wished for a republican form of government while silently opposing their country's imperial conquest of China. "The Japanese censorship boards have drafted regulations for the press in territory under their control, and unsuccessful attempts were made to control news dispatches in Shanghai's foreign-owned newspapers. In Peiping, Tientsin, Tsingtao and other cities where the Japanese are in complete control, foreign editors are having their troubles, as evidenced by the 'secret' instructions to the press issued by the Special Military Missions to China, with Headquarters in Peiping... Under the heading 'Important Standards for Press Censorship' come the following regulations..."
-what follows is an enormous laundry list of "DONT'S" issued to the officers of the foreign press stationed in Japanese-occupied China. Kind words are written herein by Lt. Commander Charles G. Dobbin regarding the "Himmler of the East", General Dai Li(1897 - 1946), founder of China's secret police under Generalissimo Chiang Kai-shek (1887 � 1975). Written in 1946, this reminiscence concerns the tight cooperation that existed between General Li's guerrilla units and the American military (Sino-American Co-Operative Organization: S.A.C.O.) 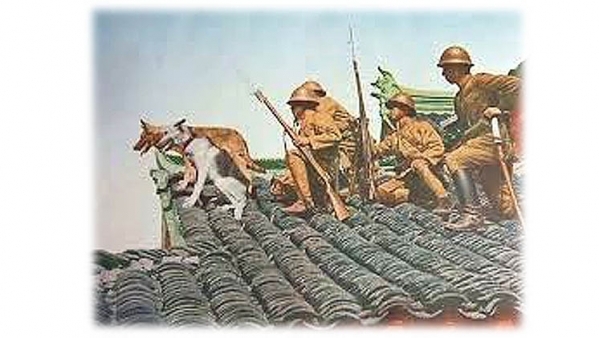 during the later years of the Second Sino-Japanese War. Dobbins emphasized how deeply General Dai Li's intelligence operatives were able to circulate during the period in which U.S. Rear Admiral Milton "Mary" Miles commanded the S.A.C.O. troops. "...Peiping Associated Press dispatches tell of a major battle between Japanese and Chinese armies for possession of Chiumenkow Pass in the Great Wall of China. The Pass is one of the most important gateways leading into the rich province of Jehol which, it is reported, Japan purposes to cut off from China and add to Manchukuo...This collision forms the second chapter in the Shanhaikwan dispute, and it comes quickly."